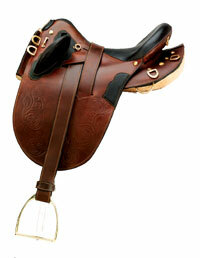 We have all sizes of Cashel flymasks including mule and donkey. 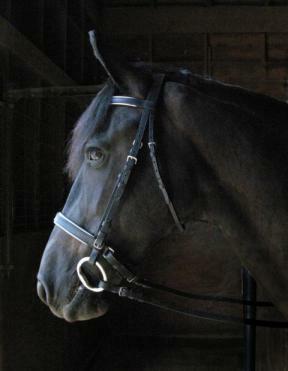 A handsome bridle with padded nose, brow and crown. Laced reins. 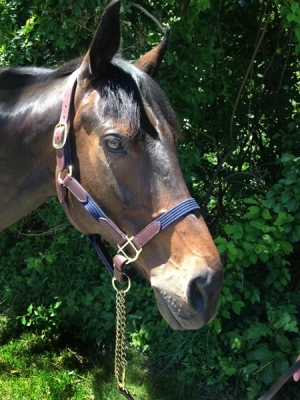 Click on "Draft Horse English" then "Draft Horse English Bridles" for more bridles. 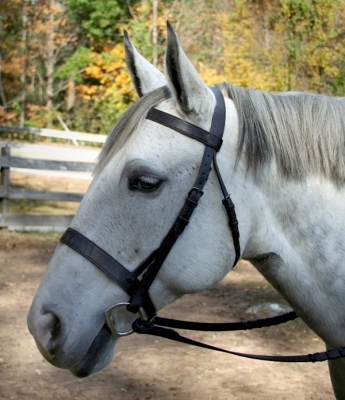 Black English leather bridle with white padding and a V brow with three rows of blue stones. Includes reins. 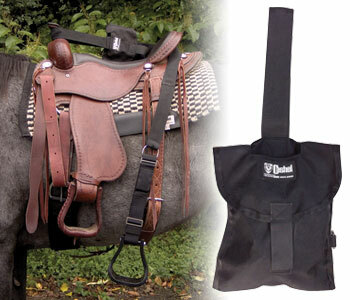 Click on "Draft Horse Western" then "Draft Horse Western Bridles" for more bridles. 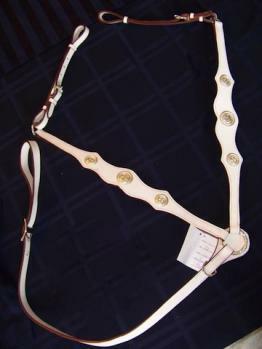 Order here for this draft size, halter with adjustable nose and throatsnap. These are custom made in the USA and will take 2 to 4 weeks. 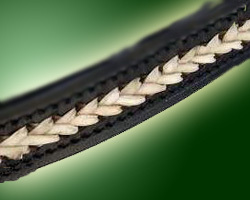 Replacement leather breakaway crown for breakaway nylon halter. 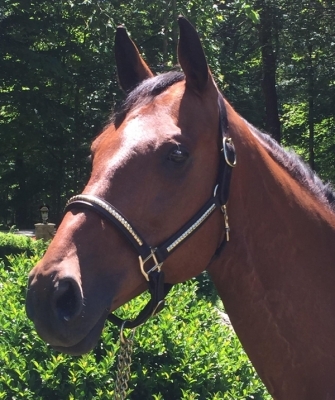 Click on "Cashel Horse Fly Masks" for all fly mask options and measurements. 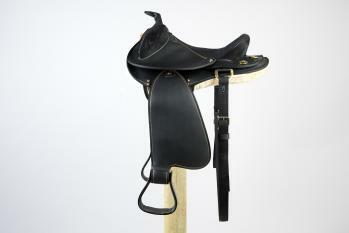 of an Aussie and Western all-in one saddle. Size: 5 3/4", 6", 6 1/2", 7"
Drafts generally fall into two different catergories. The short, around 16 hands, stocky "farm chuck" type that is wide and flat. The taller, 17+ hands, narrower hitch type. We carry products for both sizes. However, some Drafts and Draft Crosses, just don't fit into either category. Don't worry, we can help you too! Do you own a Drafty horse, like a Friesian or a Gypsy? We can help you too! 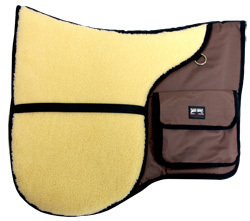 Quarter Horse, Mustang, and TWH owners with a hard to fit horse, we can help you too! We have searched high and low, and we have gathered many hard to find Draft items. Feel free to ask questions, or give suggestions for products you wished we already carried. Please send them, they might end up on DraftTack. Just make sure we have the horse's and your names. A little interesting information about your wonderful horse may get printed, too, if you tell us.